Salim Vally is the director of the Centre for Education Rights and Transformation, an associate professor at the Faculty of Education, University of Johannesburg and a visiting professor at the Nelson Mandela Metropolitan University. He was employed by Wits University for twelve years after a ten year period in the trade union movement. He joined the University of Johannesburg in late 2009. He studied at the universities of York, Witwatersrand and UKZN and has been a visiting lecturer at Columbia, Virginia and York universities. He agrees with Howard Zinn that “most academics publish while others perish” and therefore continues with his abiding interest in linking academic scholarship with societal concerns, community participation and global solidarity. He spends an inordinate amount of time attempting to convince his peers and community activists to collaborate on socially engaged research. Vally’s most recent book ‘Education, Economy and Society’ co-edited with Enver Motala (Unisa, 2014) won the Hiddingh-Currie Award. 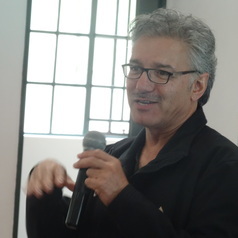 His academic interests include education and social policy as these relate to social class, racism, transformation, social justice, human rights and democracy; critical and liberatory pedagogies; and extensive involvement in participatory action research and trans-disciplinary and comparative approaches to critically examining education policy and practice. He serves on the boards of various professional and non-governmental organizations, is active in various social movements and solidarity organisations and is a regular commentator in the mass print and electronic media. He is passionate in his endeavour to liberate the discourse of rights from the protective clutches of juridical experts where it often ineffectively resides.